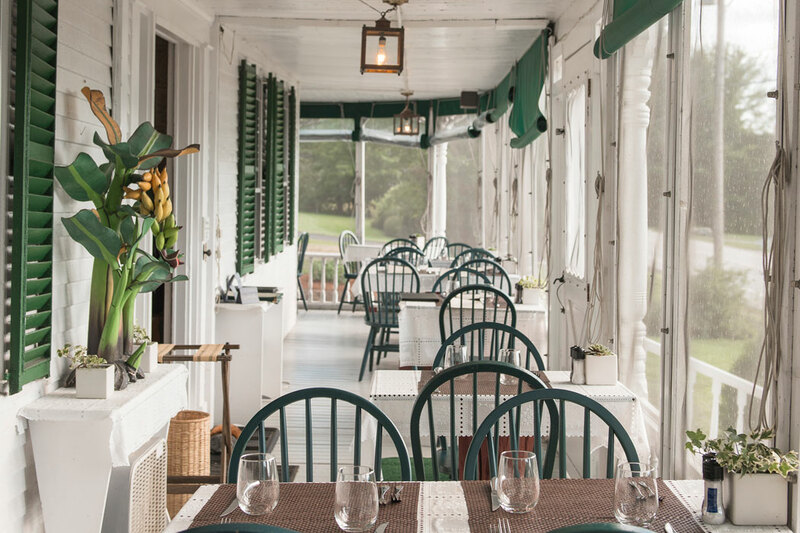 It’s not surprising that Center Lovell Inn, a beautifully restored 1805 Georgian-style farmhouse in rural western Maine, induces a Zen-like serenity in those who visit. It’s almost impossible to harbor worries when you’re seated in the screened porch-turned-dining room, nursing a snifter of rum and gazing at the majestic White Mountains. But Lovell is an unexpected location for a restaurant that serves dishes like double-fried cassava — crispy and sweet, with a bracing, garlicky mojo dipping sauce — and tostones (fried plantains) with creamy deviled crab dip. 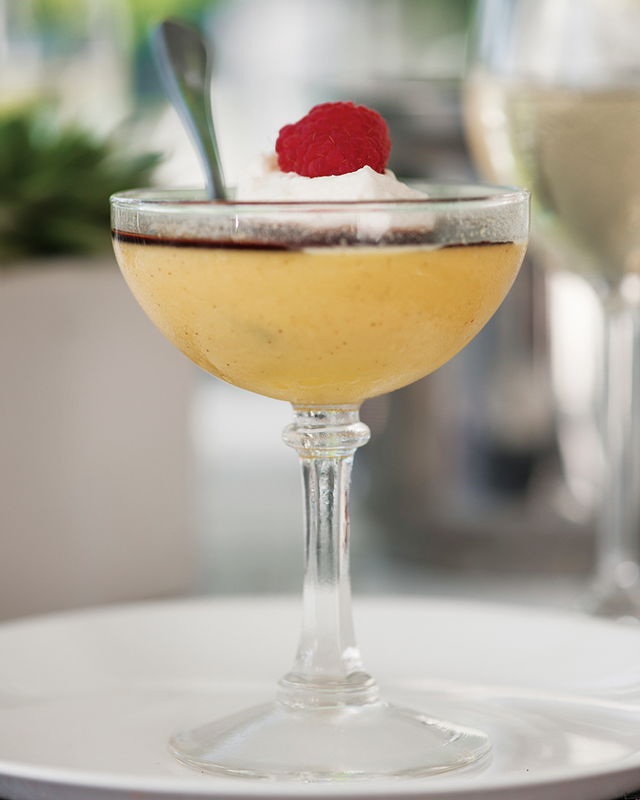 Chef Rose Adams owns and operates the inn with her husband, Prince. 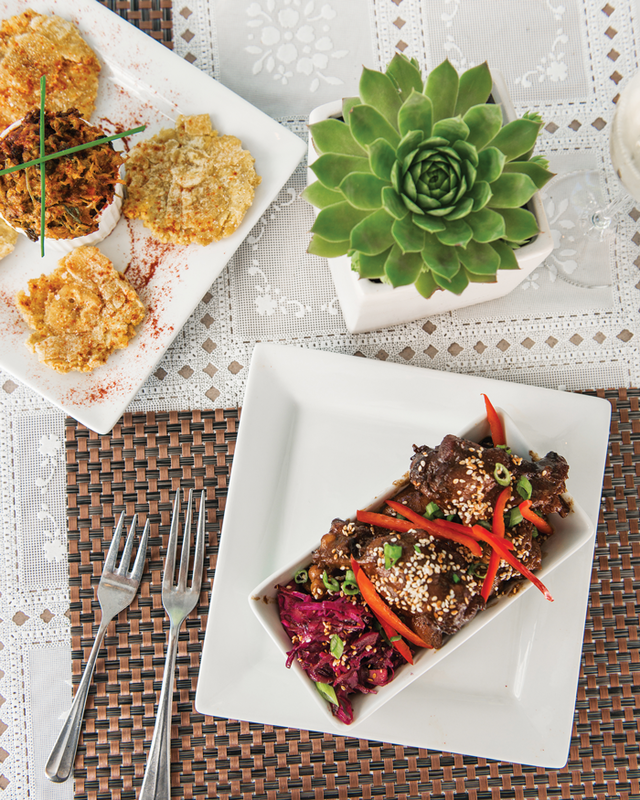 Her menu is filled with the warm, inviting flavors of Caribbean, West African, Creole, and Indian cookery. Every Saturday, she carefully toasts and mills a blend of spices into a paste for the curry of the week — fiery pork vindaloo, maybe, or Jamaican-style curried goat. The Adamses come to Lovell from Brooklyn by way of St. John in the U.S. Virgin Islands, where they spent 12 years running a popular guesthouse and restaurant called Sweet Plantains. In early 2015, they were looking to move back to the East Coast when they read a New York Daily News story about an essay contest to acquire the Center Lovell Inn. The previous owner, Janice Sage, had herself won the inn in an essay contest in 1993. Their 200-word essay about why they wanted to own the inn was one of 7,255 entries. The Adamses admit they’d forgotten about the contest by that summer, when Rose answered the phone at Sweet Plantains, expecting to take a reservation. It was Sage, telling her they’d won. Rose and Prince quickly sold Sweet Plantains and moved to Lovell, bringing with them their affinity for the zip and zest of island life, expressed in both Rose’s cuisine and Prince’s extensive rum program. Eventually, he graduated to higher-quality aged rum and got hooked on both the spirit and the culture that surrounds it. Sweet Plantains became the number one destination for rum connoisseurs on St. John, with daily tastings and a discussion series. The Adamses left the Virgin Islands to take over the inn after winning a much-publicized essay contest. 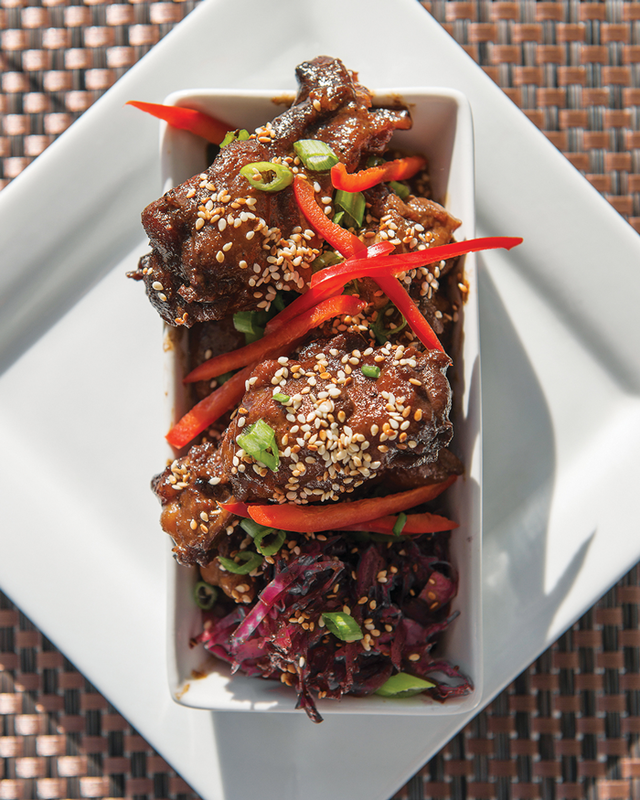 Their house jerk sauce finds its way into a variety of dishes, and Prince’s craft rum collection sets the inn’s bar program apart. 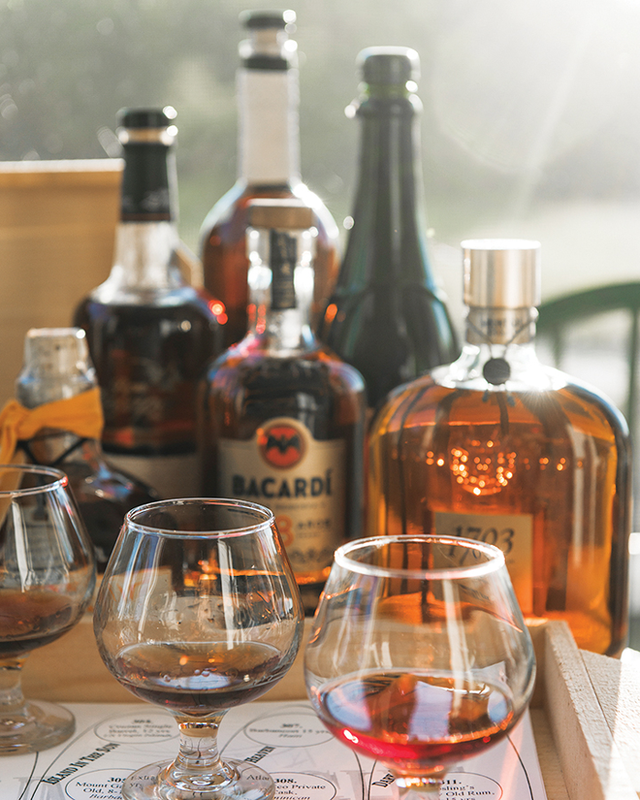 The Center Lovell Inn offers various flights, like the “Island in the Sun,” a selection of three 1-ounce pours: rich, dark Pyrat Rum XO Reserve from Guyana, 12-year-old Cruzan Single Barrel Estate Rum from the Virgin Islands, and Mount Gay Extra Gold from Barbados. Anyone skeptical that a great rum can be as satisfying as a fine brandy or cognac need only sample a dram of Mount Gay Old Cask Selection 1703 — the aroma suggests top-shelf cigars, the taste hints at dried fruits and hazelnut, and 30 years of barrel-aging makes for a long, mellow finish. Rose demonstrates the same level of passion with her food. The “Daily Jerked” is a rotating selection of meats doused in her peppery jerk sauce, a complex concoction of soy sauce, brown sugar, scotch bonnet peppers, allspice, and thyme, to name but a few ingredients. 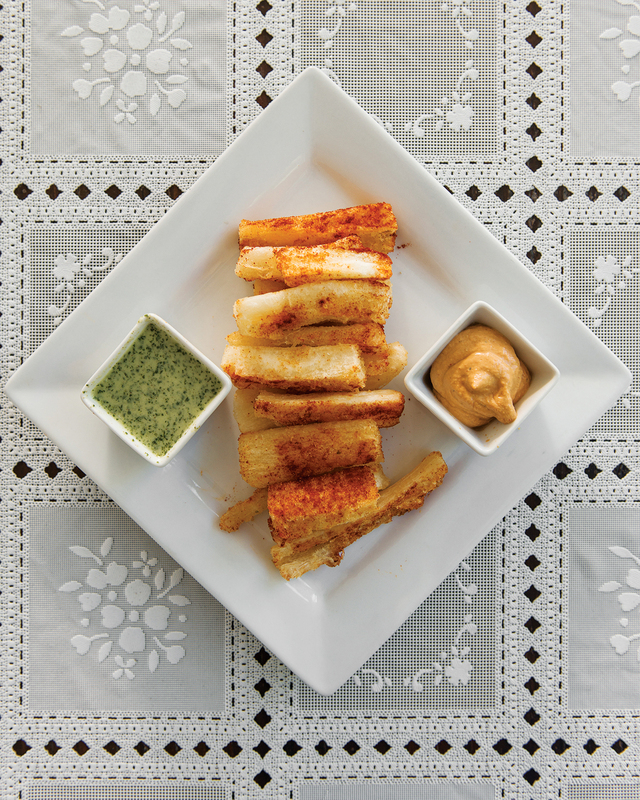 With sweet and salty elements that balance a slow, creeping burn, it’s wildly addictive and suitable as a condiment for just about anything. 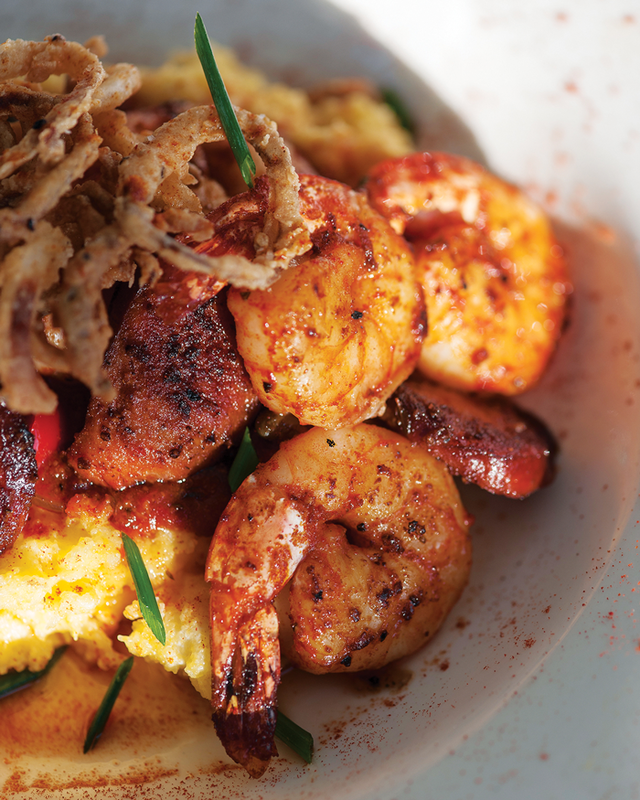 Rose’s take on Carolina shrimp and grits is inspired by a traditional Haitian dish that she grew up eating. She cooks the stone-ground yellow grits until they’re sweet and creamy, then she folds in goat cheese and a handful of capers, adding a lovely brightness and piquancy to an otherwise rich and heavy dish. An earthy, smoky tomato ragout partners well with the charred shrimp and spicy Andouille sausage. 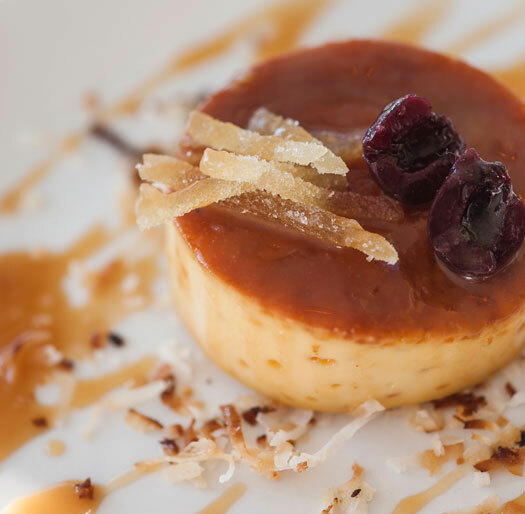 The dessert list (with optional rum pairings, naturally) includes a boozy crème caramel-style flan, served with Maine maple syrup, and an airy combination of panna cotta and mango lassi, topped with whipped cream and pomegranate coulis. 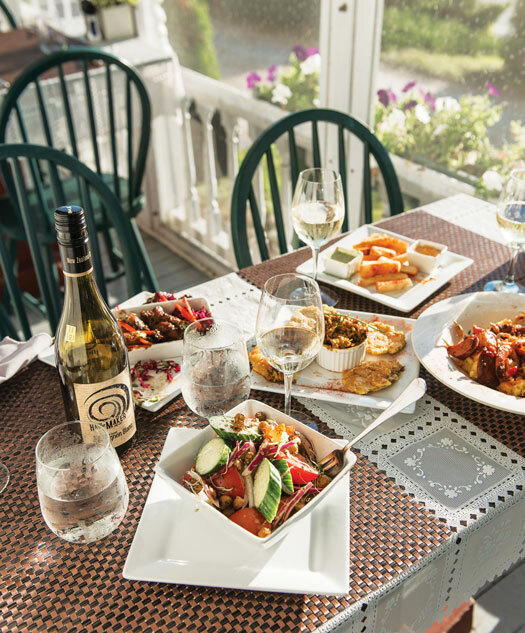 Caribbean cuisine may seem out of place in the western Maine mountains, but the Adamses serve it up with classic island ease. “As the third innkeepers here,” Rose says, “we’re excited to keep the tradition alive while incorporating the flavors from our universe.” It goes to show that good things can happen when worlds collide. 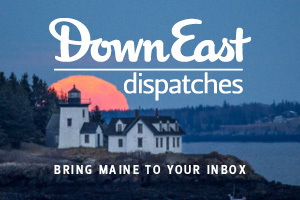 See more Maine music, art, dining, and culture!